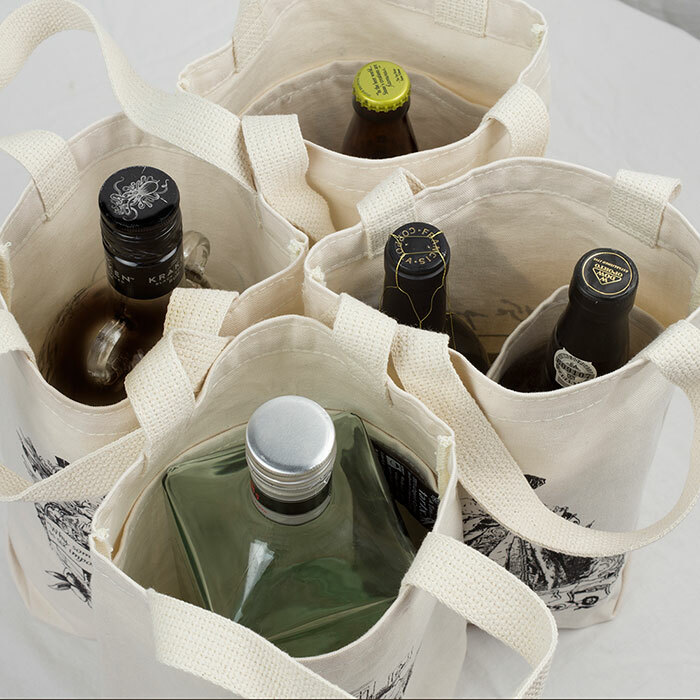 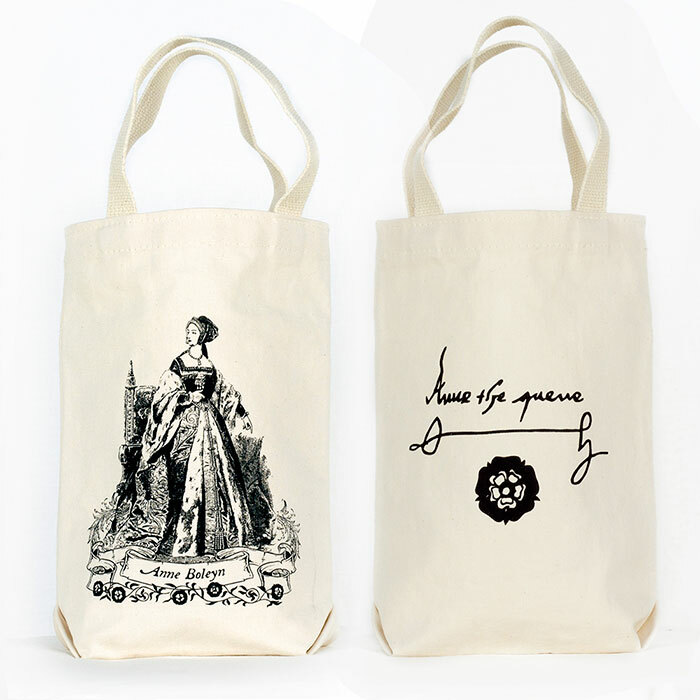 This fabulous tote makes for a stylish presentation of wine and other liquor gifts, useful for BYOB get-togethers, use as a lunch bag or as a smaller tote for anything you would like. 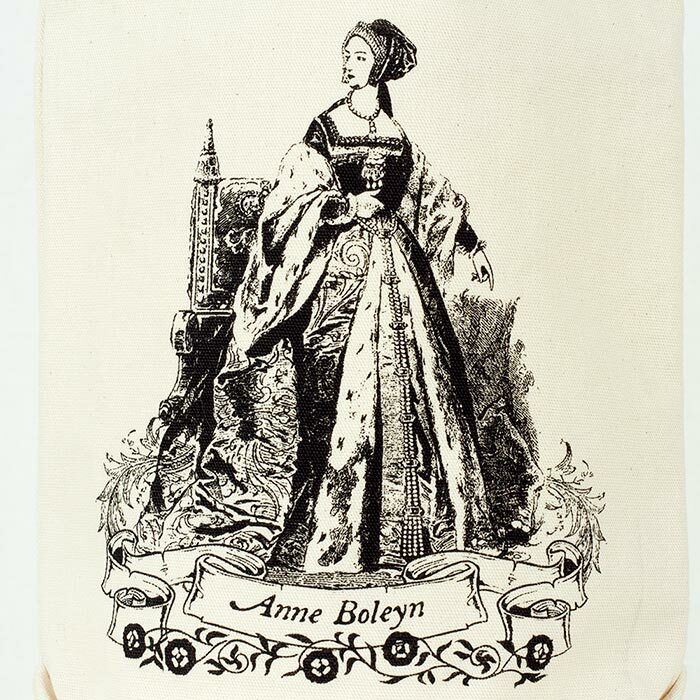 It features a design by Tiffini Elektra based on a vintage engraving of Anne Boleyn and on the reverse side her signature and the Tudor rose. 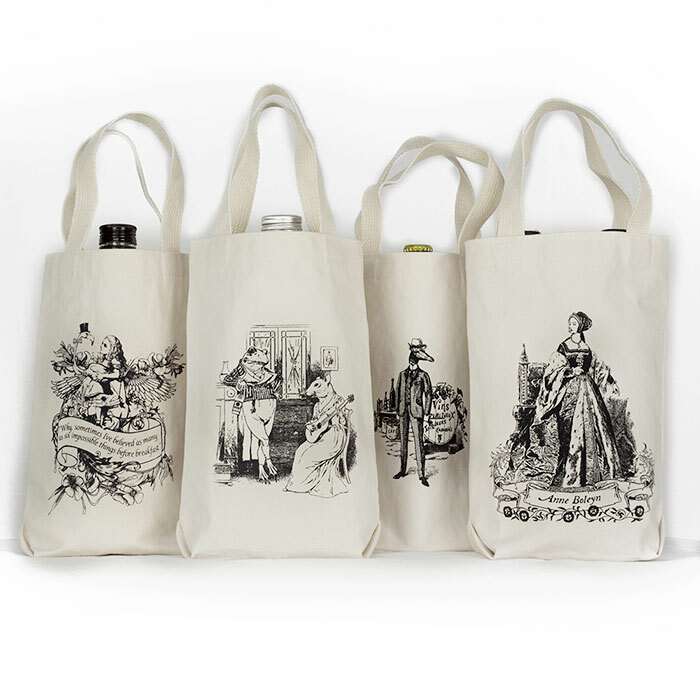 The tote is designed with a collapsible cotton divider inside which allows for easy transporting 1-2 wine bottles or beer bombers. 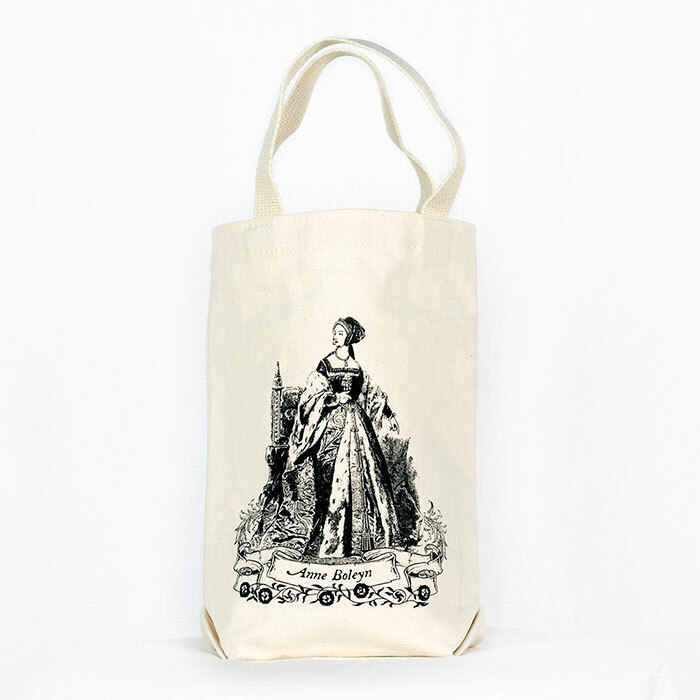 Made in the USA from 100% Organic Cotton and shipped worldwide. 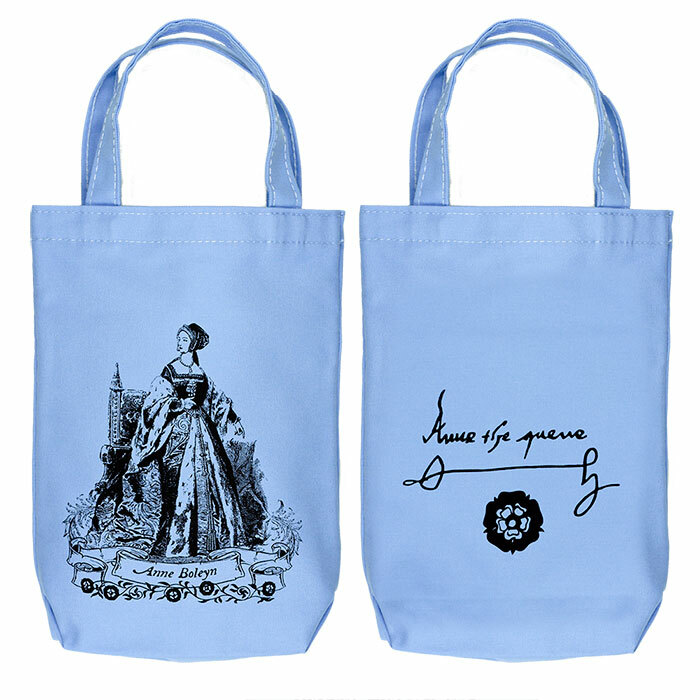 Colors: Your choice of oyster (kind of light cream) with black ink or light blue with black ink.